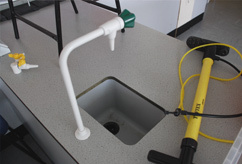 The Total Turnkey School Laboratory Solution. 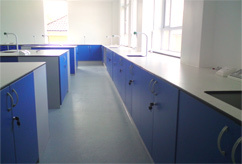 School Laboratory Furniture specialise in the supply, design and installation of all types of laboratory furniture, including bespoke or standard products suitable for this environment. Between us we have over 60 years of experience within the laboratory furniture industry. We offer a free consultation, 3d and 2d CAD space planning and design service. At School Laboratory Furniture, we don't just supply classroom furniture; we aim to provide a total package solution for our clients. Schools and especially teachers have a busy day to day schedule. To also oversee a refurbishment or new build school laboratory project just adds to the workload, especially when they are dealing with multiple contractors for one project. By using School Laboratory Furniture, you'll have a dedicated team to manage the entire project, from initial design to full installation and completion including project management and CDM regulations, giving you a single point of contact. These services are offered at no extra cost, therefore saving you considerable funds by not having to employ architects or project management companies. Our experienced project staff will keep you informed throughout. This means you can get on with your other important duties safe in the knowledge that your next classroom project is being handled by a professional and experienced team. 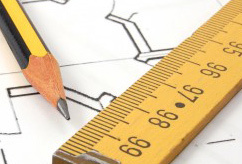 We offer a free 2D and 3D planning and design service and professional project management. We offer a comprehensive hands on, in house, Project Management and CDM service. This is always project specific, and ensures both compliance and the smooth running of the installation from initial design through to the completion at project handover. No job is too big or too small. From one desk or chair to a complete building installation. All installation work, including construction, furniture and mechanical and electrical services is carried out by our own workforce. School Laboratory Furniture we are experts in design and installation of laboratories. We can supply from a single desk to complete bespoke laboratory complexes. Please have a look at some of our completed Projects. *Please enter in characters above.